﻿ Rondo' Hotel, Bari | FROM $66 - SAVE ON AGODA! 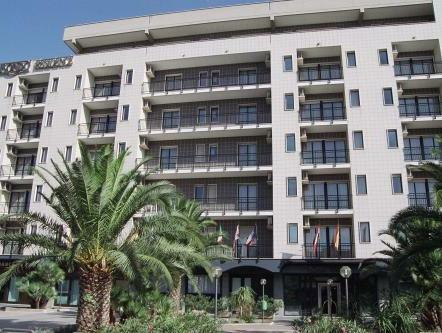 The Rondo Hotel is conveniently located in the Carrassi district, close to the central station, just a few minutes from the center of Bari. Free Wi-Fi is provided throughout the property. 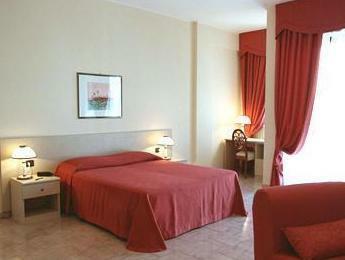 This hotel is ideally located for those traveling to or from Bari International airport, just 15 minutes away. 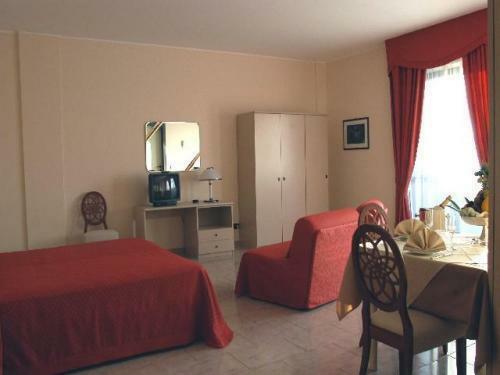 The hotel is also close to a number of business centers and commercial areas of interest. The Rondo Hotel features conference rooms for business guests, with a maximum capacity of 150 people. Just outside the hotel, you can take the bus directly to the center of the city. There is also a local shuttle bus available to visit local attractions such as the beautiful Trulli in Alberobello or the caves of Castellana Grotte. Probably the biggest room we’ve ever stayed in - huge space and balcony, plus kitchenette and bathroom with window with a view. Very handy for airport if driving, and lovely street lined with old pine trees. 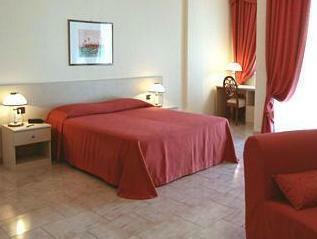 A reasonably priced,clean hotel with a helpfull staff. Parking is available in an underground lot that is part of the hotel. The good news is that the spaces are much larger than normal European spaces. The bad news is that in and out of the parking has a couple of wicked sharp turns. Breakfast is quiet good. Near the hotel are a number of very good places for dinner. I was delighted to be greeted with a huge room with full air con on after a long train ride on a sizzling hot summer day. The room was HUGE with modern facilities and cable TV, internet connection. The location is away from city center but once you get to know how to ride the bus, it's only just 12 minutes away from the railway station. At the discount price, I can't expect a better hotel. The staff is efficient and speaks English. Camere grandi e funzionali. Ottimo buffet colazione. Accoglienza cortese. Camera grande, pulita e funzionale. Buffet della colazione ben fornito e di ottima qualità servito da personale cordiale e disponibile.